Visitors are welcome to come watch at no charge any time. Please just contact us beforehand and let us know you are coming so we can be expecting you. 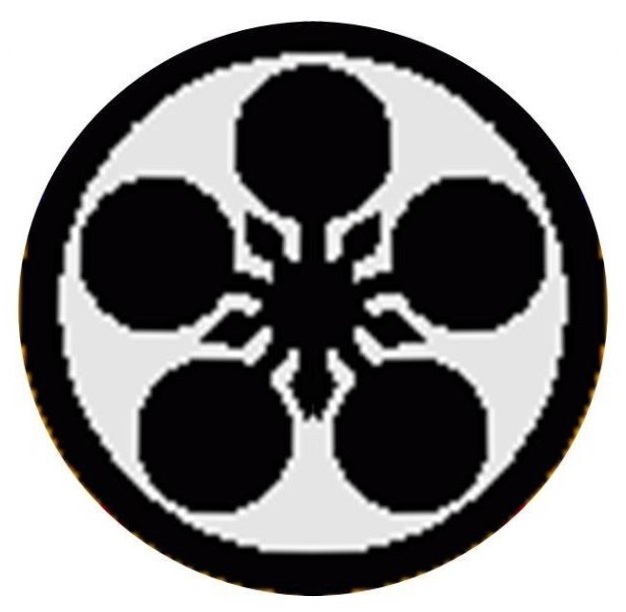 Our archery school or KYUDOJO is presently accepting new students. We have year-round open enrollment and no previous archery or other martial arts experience is necessary to participate. Above: Our indoor and outdoor facilities permit us to accommodate a large number of students at each class.. 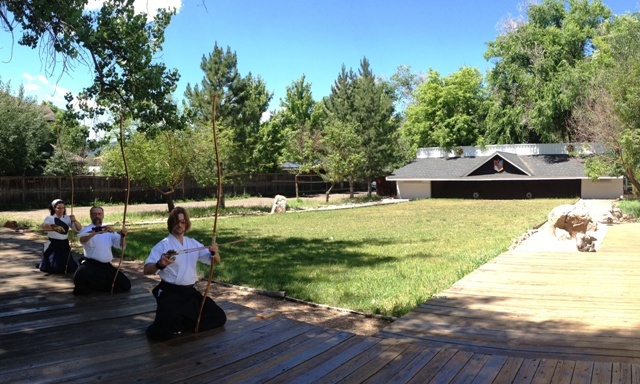 Above: Senior student Sue, and students James and Sean, practice a two-arrow form called HITO-TE. Prospective students are strongly encouraged to come watch a class or two before deciding to join. 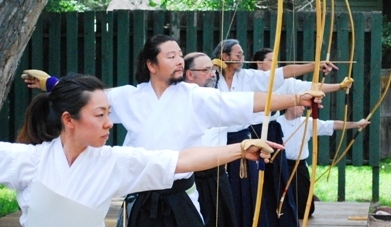 Unless you are already an experienced Kyudo student and have your own equipment and uniform, you are welcome to wear comfortable street clothes to your first class and we have community equipment (i.e. bows and arrows) for you to use during class.